I grew up in communist Bulgaria. I was only six years old when I saw my country brought to its knees, where people were reduced to one kilogram of flour and sugar per month, a liter of oil. I remember standing in those lines with my mother: the line for bread, for oil, for meat. Some time back then, I got my first and only Barbie doll for Christmas. That’s right, I had “only” one doll. Being a parent myself today, I can imagine, how difficult those years must have been for my parents. But I never suffered because I had a few toys. Quite the opposite – I had the happiest childhood running around in the woods collecting rocks and playing hide and seek till midnight. The positive thing that came as a result of growing up in poverty: I was raised sheltered from consumerism. The world I live in today is very different. Our western society today has much more than what we need to sustain ourselves. Our homes are filled with all kind of knick-knack. And even if we do a very good job of organizing it, it is still organized hoarding. Our kids are raised in a childhood that is beyond messy and chaotic. And while many people have embraced the journey towards minimalism, many others also believe that minimalism and kids don’t belong together. I can assure you that minimalism with children is entirely possible. However, it does require a little more effort, a little more thoughtfulness, and a lot more patience. As parents today we have so much going on, that we often go into “survival mode”. If your kid won’t sit down for a meal, there is a device for that. If your kid won’t sit quietly while mum drinks her coffee, there is an app for that. How often do we get caught up in the chaos and end up living these precious days of our children’s childhood on autopilot? How often do we count the minutes till bedtime instead of sitting down and reading stories to our kids? This is still me every time I lose focus and slip. Minimalism is not about deprivation. It’s about bringing what is important and I think, really, what it comes down to is adding value to one’s life. We often think of minimalism as having “enough” and that is the core of it. But it is just as much about finding happiness and acceptance in our lives the way they are now, in the present moment. It is much about stripping away the unnecessary so that you can focus on what is important. Ever since I started the beautiful journey towards minimalism, my life has become much more meaningful and complete. 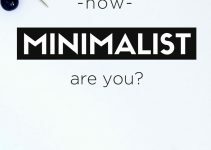 In this post, I want to tell you why my husband and I are teaching our son to live by the principles of minimalism. I will also give you all the practical tips and tricks that are working for us and could help you kick-start your own journey towards simple, yet more meaningful living. 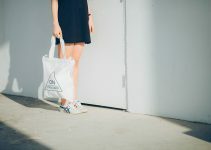 Scientists have found that physical clutter negatively impacts a person’s ability to focus and process information and that the way children are raised in the western world, causes stress and anxiety in both parents and children alike. Before we had Viktor, it was pretty simple to keep our apartment in order and practice our passion for less. Everything had its place, we implemented conscious consumerism and contributed to the environmental conservancy by recycling and repurposing whatever we could. Our desire was to live with as small a footprint as possible, trying to avoid being caught up in consumerism. Then came Viktor. All of a sudden, my oh-so-clutter-free-life became more difficult to maintain. I couldn’t understand the “baby essentials” shopping lists which had hundreds of items on them. I made the conscious decision to stay away from over-consuming, to have a more aware, more balanced relationship with stuff. In raising my son as minimalist, I am doing exactly that. If you are ready to move towards minimalism, taking the first step of decluttering your home is the most natural one. I believe that clutter in our physical environments energetically blocks the flow of abundance. Besides, it is so freeing to let go of the unnecessary stuff and only keep what you love and use regularly. Decluttering became part of who I am and set me free. I do it on a regular basis now. It allows me to focus on what really brings value to my life. If your kids are old enough, involve them in the decluttering process and explain to them why are you doing it. Today I think through my buying decisions much more carefully than I used to. I no longer buy stuff just because we can afford to, I buy things because we truly need them. I am lucky that Delyan and I are on the same page. But I never pushed him to change. We changed over the years together. You can’t push your family to change either. What you can do is be a living example yourself and inspire others. Help them learn to appreciate what they have by being appreciative yourself. Let them experience the joy of giving first hand. Your positive attitude will reflect in your children’s attitudes and eventually without even knowing it, minimalism will come naturally to your home. If you let it be, your family and friends will most likely bombard your kids with all kinds of unnecessary things. What you could do instead is provide them with a list of things that your kids really need. Or you can ask them to pay for their swimming lessons, chess or piano classes. My grandparents didn’t buy me lots of presents. But the fondest memories I keep of my grandpa are the times he taught me to ride a bicycle or of us playing hide and seek in the fields of wheat. Most people would agree that nowadays our culture spends too much time with technology. Schedule a daily quiet time – we have decided on a daily quiet time after 19.00 where none of us is using their smartphone, computer or tablet. We might watch a movie or a TV show together but we only do it after we had put Viktor to bed. I have also scheduled a “do not disturb” daily time on my iPhone from 10 pm till 7 am. Limit screen time for your kids – Viktor is nearly 2 years old and we have managed to keep him completely off any devices so far. And as he grows we plan to keep his screen time to a minimum. No TV in our bedroom – one room that we keep super simple is our bedroom. It’s also one of the most peaceful rooms in our home – no TV, no tablets, no computers. No TV while your kids are still awake – you can make a rule that the TV will be off until your kids go to bed. This will not only keep your kids away from the screens but it will also give your family the chance to have more meaningful time together as a family. Spending more time outdoors is a habit you can choose to make. Don’t let bad weather be an excuse to turn on the computer. It’s so true, you choose how to spend your time. Bad weather never stopped me from taking the bicycle to work every day or having a walk by the river with Viktor. You excitedly buy your kids a ton of toys, delight in their smiles as they open the first two and then immediately suffer from buyers’ remorse as we watch them have more fun with the wrapping paper and boxes than with the actual toys. Sounds familiar? Children are absolute masters of pretend play and often require no or very little supplies. Let your imagination run wild. Build castles from cardboard boxes, play hide and seek outdoors, bake muffins together, “I spy” – are just a few examples where you can have lots of fun together and won’t need any special supplies. Very often parents who are really busy give their kids a lot of things instead of spending time with them. It’s a compensation mechanism. Parenting is hard and time-consuming, yes. But it is such a blessing! If you are too busy to dedicate play time on a regular basis, you can involve your children in activities that won’t steal from your time and will encourage them to think about stuff outside of themselves. Some examples are: donating on a regular basis together, keeping a garden, shopping at second-hand stores. As with most good things, the process can be long and daunting. But I can assure you, it is worth it. Design your minimalist life. Start today. Design your life of less – as more. Love this, thank you! It’s something I’ve been wondering about, though we aren’t there yet. Thank you for sharing your story. My best friend grew up in Latvia when it was still under Soviet control. Very similar story and a stark difference with the way I grew up. But when I moved to Europe from the States 5 years ago I was forced to downsize my life to 2 suitcases and I’ve never looked back. We don’t have kids yet but I plan on raising them minimalist because I truly believe my life is better without lots of stuff. Love your blog! Hi Erin! Post-communist countries had some very tough “transition” years after the fall of the Berlin wall but that’s now over. Most of these countries today are part of the European Union, their economies have opened up and the young people living there are very dynamic. As for moving to another country, I can totally relate. 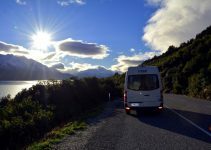 My perspective of what matters in life totally shifted after I moved to Austria and left most of my stuff back at home. I am glad that you have embraced minimalism before having had children – it makes things easier once they arrive :-). Thanks for stopping by! This is one of my favorite posts! My kids have way too much. I practice minimalism with my own purchases, but not with my children. I think it’s time to declutter and implement this with my kids more. I can see how this would be so good for them. Hi Lacy! So many parents are in the same situation as you. It is difficult to resist buying your kids the stuff they want, especially when you can afford to. I can assure you that it is totally it, just give it try. Thanks for stopping by :-)! 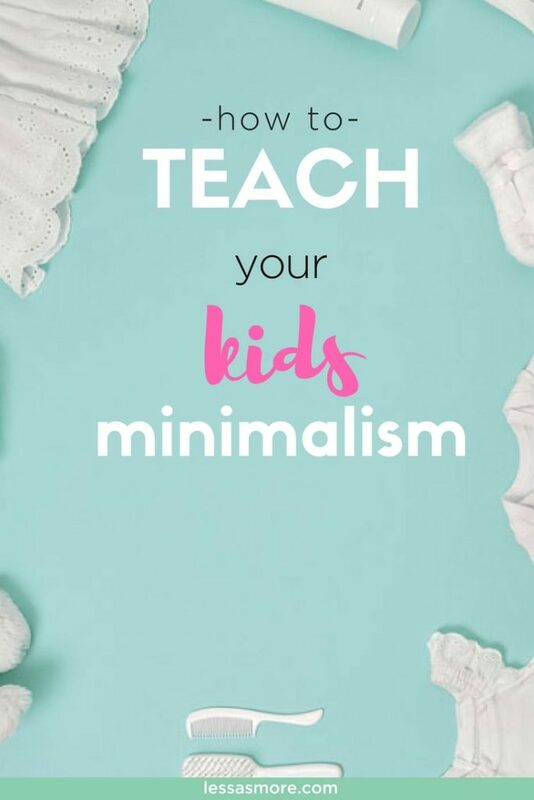 This is very important to teach your children minimalism especially in a society where everything can be theirs in an instant! Really helps keep children humble. Hi Ebony! I totally agree with you. It helps us in teaching our children what is really important in life. Thanks for stopping by :-)! Hi Ella! Thanks for stopping by! True, it helps us focus on what is important! This was such a timely post for me! I’m expecting my first child in just a couple of months and I definitely don’t want to go overboard with all of these things you don’t really need. I agree that these “baby list essentials” don’t really seem like essentials at all! I’ve read lots of books about minimalism and even though everyone defines it differently, I like to keep a pretty peaceful house that isn’t filled with tons of stuff. 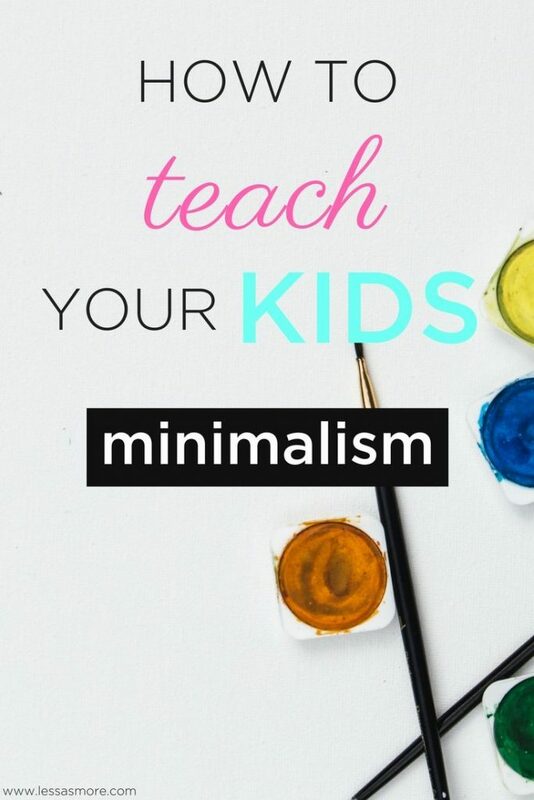 Your reasons for teaching your kids minimalism are spot on! You make some excellent points. My stuff isn’t even organized! I buy things to get organized, and that’s clutter too! I definitely believe that experiences are more important than things, so I need to live that more.